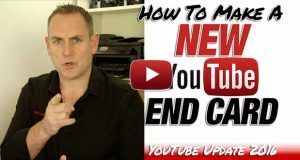 Creating eye catching thumbnails for your YouTube videos is one of the most underused methods of creating free traffic. This is your “advertisement” for your video, and when used properly, can be very successful. YouTube does give you the option to select one of three thumbnails it gives you from your video. More often than not, they're not what you're looking for. 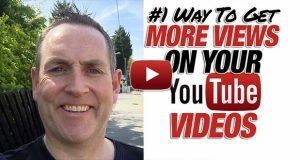 Using this quick method will help you stand out from the crowd to get more clicks and views to your videos. Here I show you how I create my thumbnails for my videos so you can create your own easily and quickly. Think about it. There are billions of hours of video on YouTube, all competing for views. They're not all competing for the same views but they all want to be watched. How many times have you gone to YouTube looking for a tutorial or a tip on a certain topic, only to see a cute cat or something just as distracting grab your attention and you end up watching that too..? There was something eyecatching about that video that made us want to watch it. Even with videos we actively search to watch. The ones with the eyecatching image are typically the ones we click on first. And if they have the content we're looking for, we rarely go any further. This is the power of the eyecatching thumbnail. Watch the video here to see how you can create your thumbnails using the simple and straight forward method I use. That's how simple it is to create your own thumbnails. As I said in the video, I prefer to use an image of me where I'm “in action”. This gives an impression of “movement” in a way, like you've been photographed in mid talk type of thing. These, more often than not, stimulate our imagination more than just a static picture. Like Usain Bolt striding across the finish line of the 100m to break the World Record – again! – or a racing car doing 200 mph around a racing track. A photograph of these in mid action is far more powerful than if they were both standing still. Use this style of YouTube thumbnail if you want to brand yourself, as I also said in the video. If you're not interested in branding yourself, then you can use any image you want, if at all, or simply use text. Having the title of the video in text on your thumbnail – so it's readable at a small size – will also help you stand out. As always, I hope you enjoy the post and video. If you have any questions please feel free to add them in the comments below. Also share and like this post. It helps me to know you appreciate it and to make more. So there you go, that's how you create eye catching thumbnails for your YouTube videos. My first time on your site. Very interesting video on thumbnails. Can you create them on anything else other than adobe? That’s expensive, I think. Interested in what you have to offer in creating good YouTube videos. Your video is really good on creating thumbnails. Do you show how to get YouTube to show that particular thumbnail other than the three choices they give you automatically? You’ll have to have your Channel set up for Monetization in order to have Customisable Thumbnails and I show you that in the video. Very interesting video. I actually own Adobe Master Collection CS4 but the only program I use is Photoshop. I’ve tried to learn Illustrator and Premiere Pro and I think they’re very difficult to learn so I don’t even bother using them. I just stick to Photoshop. I’m not a Power user but I think I’m good enough. Thanks for all your videos and your Quick Screencast Profits course is really good. I’m learning a lot from it thanks. Yes, Illustrator can be very hard to get your head around. Luckily I was taught Illustrator before Photoshop at college, and it’s definitely helped on some things. Excellent videos David. Can I ask you a question. I understand about setting up clickable links, what I can’t figure out is this. In the settings I set the site as http://www.stophemorrhoidpain.com so all my hemorrhoid videos have links to that site. However, I am involved in several different niches. So if you imagine I have a video,let’s say on buying cars and a website related to this. Obviously I don’t want my car video linking to the hemorrhoid site in settings. Can you add more than one site in settings or how do you overcome the problem..
My second question is I thought YouTube didn’t allow direct links to affiliatel links but when I do a hemorrhoid search in YouTube,loads of the ones coming up in top ten are affiliate links DIRECT to the affiliate site, and some have been there for months. Finally David do you have a coaching program.. I like the fact that you sound like you are from the Uk or Ireland and not one of these American bullshitters,excuse my French. Firstly, you can only have 1 Associated Website on your YouTube Channel. So when you have the hemorrhoid site added, that’s the only external website that YouTube will link to on that Channel. If you’re in different niches, then have different Channels for each niche. 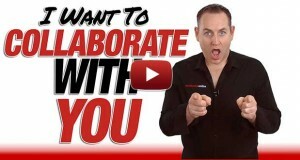 Or have a general Channel that’s linked to a General Website like GrahamRecommends.com or greatproductsnow.com or some other affiliate site URL that you can use. You can have a landing page for each product you’re linking to from the Channel and then that goes to the product buy button or sales page. Secondly, YouTube will only link directly to a site if they have the ability to add a custom HTML file to the site, or a meta tag to the index page. The only way this can happen is if the “affiliate” with the video is the actual product owner and they did it for tracking purposes, or the affiliate has been able to get the HTML file or meta tag added to the site so they can set up that URL as their Associated Website.